It turns out that a helping hand from Matt Murray is just as impressive as his glove hand. As one of the NHL’s top goaltenders, coming up big just seems to come naturally for the man who tends the twine for the Pittsburgh Penguins. So, too, does Murray’s willingness to reach out and make a difference outside of the game. When the 22-year-old native of Thunder Bay, Ontario discovered there was an overcrowding crisis at the animal shelter in his hometown, he didn’t hesitate to step up and help out. 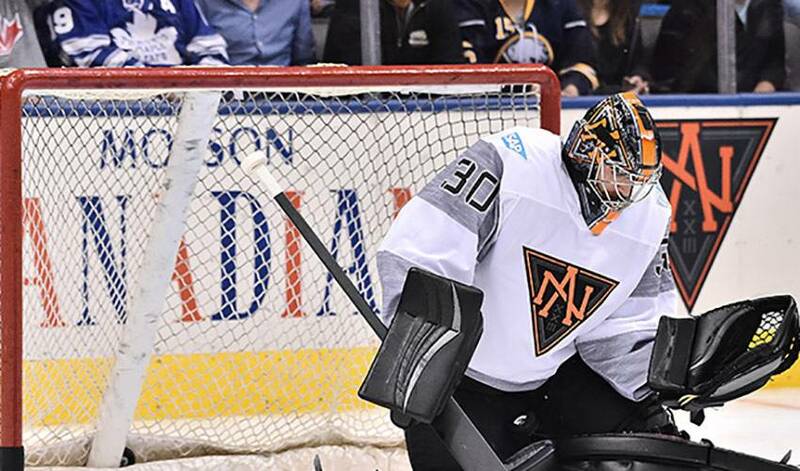 The backstopper, who required the fourth-fewest appearances (tied, 44) in NHL history to reach 30 wins, decided to assist by auctioning off the goalie stick he used when he suited up for Team North America at the World Cup of Hockey. All of the profits from the auction will go to the shelter – one Murray and his girlfriend have long supported – that recently took in 33 dogs from rescues throughout neighbouring regions. Murray’s act of kindness prompted an outpouring of gratitude – along with plenty of tears – from the people who work at the shelter. While they might see his generosity as a big deal, Murray certainly doesn’t. One of the accompanying photos on the auction site features Murray dressed in a Team North America sweatshirt, holding the stick, accompanied by his own dog, Beckham. As of February 16, the top bid for the stick is closing in on $1,000. The auction will run until February 22. To place a bid, click here.